Groundwater monitoring is performed quarterly at each of the 238 wells. Data are evaluated for trends and submitted to NYSDEC in an annual monitoring report. Air, surface water and groundwater monitoring are conducted on a regular basis to ensure that the landfill infrastructure functions properly. 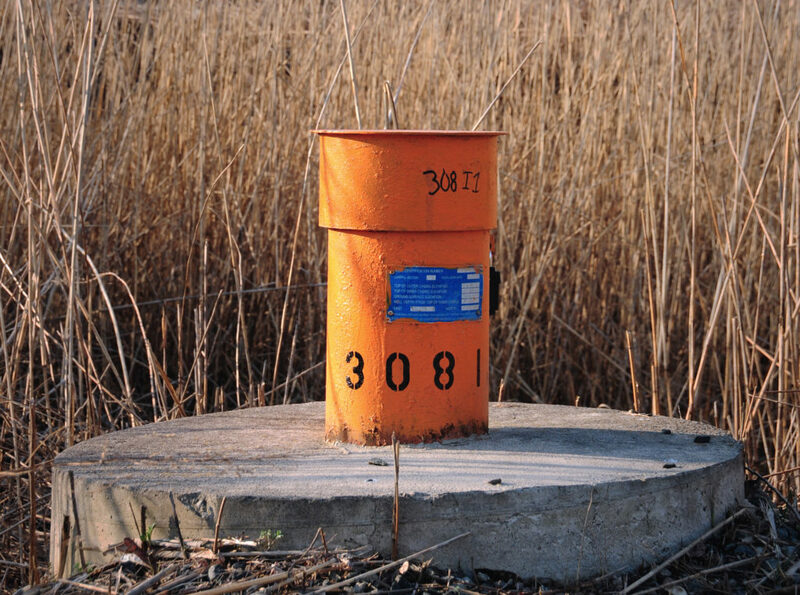 At Freshkills Park, groundwater monitoring wells are installed at intervals of about 500 feet in the shallow groundwater around each landfill mound, every 750 feet in the groundwater zones down-gradient of the mounds, and every 1,500 feet in the groundwater zones up-gradient of the mounds. In total, there are 238 groundwater monitoring wells, 116 of which are shallow well, 61 are intermediate depth wells, and 61 are deep bedrock wells. Groundwater monitoring is performed quarterly at each well. Data are evaluated for trends and submitted to NYSDEC in an annual monitoring report. Annual surface water monitoring is conducted in the Fresh Kills, Main, and Richmond Creeks within the landfill boundaries, and sediment quality in the creeks is tested during a biennial monitoring program. Surface water and sediment sampling is performed at a total of 14 sampling stations. Four of these stations are also monitored for benthic ecology (the study of organisms living in and on the sea floor) at both the intertidal and subtidal zones. Air quality monitoring at Freshkills Park is done on a daily, monthly, quarterly, and yearly basis depending on the contaminant being monitored. Among the compounds monitored are methane, carbon monoxide, particulate matter and sulfur dioxide. Approximately 57 possible emissions points associated with landfill infrastructure and operations are monitored. All of the air quality monitoring done at Freshkills Park is reviewed by NYSDEC, the agency responsible for enforcing standards set out in the federal Clean Air Act. The Clean Air Act requires each state to meet the National Ambient Air Quality Standards (NAAQS), which establishes the maximum amount of six contaminants (Carbon Monoxide, Lead, Ozone, Nitrogen Dioxide, Particulate Matter, and Sulfur Dioxide) allowed in the air. The Freshkills Park Water Monitoring Program is a project designed to allow participants to gain direct experience conducting real scientific research by monitoring the water quality within Freshkills Park. The water quality data provides insight into wildlife changes at the site. Participants measure for a variety of water properties and their findings will then be put to use in ongoing efforts to maintain and support the safety and ecological diversity of the Staten Island watershed.